Benjamin set up this picture with the camera timer. He’s really growing up. As we enter a new year, it is a good opportunity to reflect on God’s faithfulness during the past year, to thank Him for what He is doing now, and to look forward to His plans for 2019.
www.internationalfishers.com stats mid-December to mid-January. We are thankful for the expansion of Darryl’s International Fishers: Christian Evidence Ministries, impact on the Internet and social media. Now, www.internationalfishers.com is equipping 1,988 unique visitors who visit 5,856 pages within the website in a 30 day period who come to visit the website. This is nearly double the traffic this website received one year ago! Here are also some stats for five Cambodian language videos which were posted on YouTube around 1 year ago. This does not include the views and shares on Facebook and Dropbox etc. because they are too difficult to track and count. Currently we have a potential audience of around 45,000 Christian Cambodians and Missionaries on Facebook and have received good feedback there as well. Did Jesus Really Rise From the Dead? : 12,000+ views. Archaeology and The Bible. : 5,900+ views. Science in the Bible (4 Months Ago). : 2,100+ views. 4. Jesus Christ the Only Rescuer. : 1,600+ views. 5. Those Who Have Not Heard About Jesus Christ. : 1,500+ views. 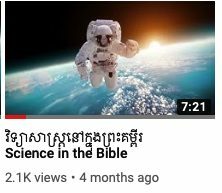 In December, Darryl released two more videos in the Cambodian Language: 1. How to Know Truth 2. Prophecies that Jesus Christ Fulfilled on www.internationalfishers.com/khmer, social media, and via DropBox. 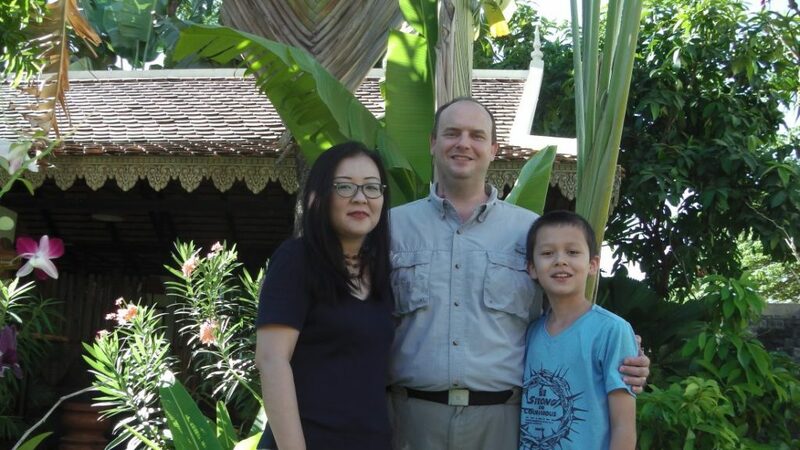 Darryl continues to share his videos, scripts, radio programs, and the English language book manuscripts via DropBox with other missionaries both in Cambodia and in other countries for them to adapt, contextualize, translate, and distribute in their own ministry circles. Recently a pastor from Japan visited us, he plans to use some of Darryl’s Apologetics/Evangelistic materials to help him in his church there. New developments are also taking place with the Ch!ne$e and P@k!$t@n! ministries as well. There are several other projects and opportunities that are still in the infancy. Please pray for their development during this year. Kayo was very busy in December with various Christmas related events and outreaches for the International Church worship team, the International Christmas Choir, Japanese Ministry, and Precious Women Organization. For example, the International Christmas Choir, organized by a missionary from France, had three concerts: at a Christmas Bazaar, for the International Church’s Christmas service, and at the largest shopping mall (owned by a Japanese corporation) in the country. Kayo’s Japanese life group ministry is going well. In December she organized a Christmas party. She also has been mentoring some Japanese women. We also praise God that the Japanese family who has been going through major problems since the husband’s break-down is in the process of being reunited in Japan. Benjamin was very sick for two weeks in December. He still has a lingering cough and is susceptible to other viruses. We are concerned about his health and whether or not the air around our current apartment is too polluted for his health because we live near a major street and the airport. Please pray about this. Darryl’s back pain has gone away completely so he has been able to discontinue physical therapy.